Admired around the world for thousands of years, the tall and majestic Cedrus libani is perhaps the most widely known of all the cedars and is more commonly referred to as the Cedar of Lebanon. The tree is native to Lebanon, Syria and southern Turkey, but has been of great significance to many civilizations around the world. 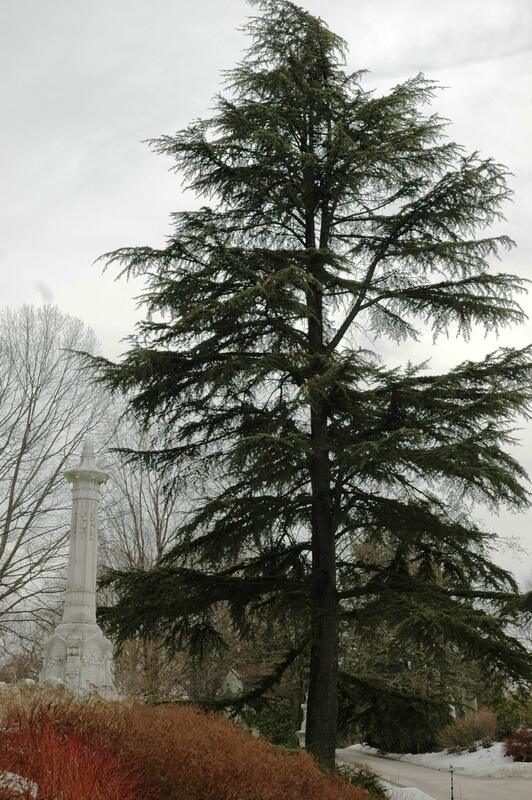 Cited in a myriad of texts throughout history – in religion, culture, medicine and mythology – the coniferous Cedar of Lebanon is truly a tree for all seasons and all people. A symbol of fertility in biblical times, used in various religious and civil ceremonies by dignitaries around the globe, the “dwelling place of the gods” according to the Sumerian Epic of Gilgamesh and the national emblem of Lebanon, the Cedrus libani has been important to Egyptians, Romans, Greeks, Persians, Assyrians, Babylonians, Jews, ancient Phoenicians and the Turks of the Ottoman Empire. Ancient Phoenicians used the tree to build their houses, temples, palaces and ships. Others used pitch and bark from the tree in the treatment of toothaches and leprosy and to keep snakes away. Sawdust from the tree has been discovered in pharaoh’s tombs. Legend even suggests that Jews may have once burned Lebanese cedar wood on the Mount of Olives to ring in the new year. The Cedar of Lebanon has broad, expansively spreading horizontal branches, 1 ½ inch bluish-gray to dark-green needles and 4-inch barrel-shaped cones. 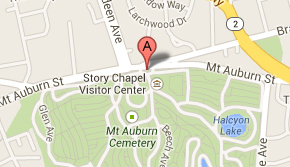 The impressive example on Central Avenue at the Cemetery is just a short walk from the entrance gate. Although widely planted as an ornamental tree in gardens, parks and arboreta around the world, very few original forests of Cedrus libani survive in their native habitat due to extensive deforestation – there is now an active and ongoing effort to regenerate forests in those areas through extensive replanting and conservation. *This Horticulture Highlight was originally published in the March 2009 issue of the Friends of Mount Auburn electronic newsletter.